What is your favorite theme or skill to teach during the month of February? to Tracy for leaving 40,000th comment here at The Mailbox Blog. Kindness and sharing for Valentine’s Day. President’s Day theme. The kids find in two groups find 50 Facts on Washington and 50 on Lincoln. We share for the 100th Day of school. My favorite theme to teach in February is love and kindness. I love February and cannot pick one: Groundhog’s Day, Lincoln’s Birthday, Valentine’s Day, Washington’s Birthday, Presidents’ Day, Black History Month, Dental Health Month! It is a cornucopia of learning and fun! My favourites would be friendship and Chinese New Year! Black history in picture book format. Presidents are my favorite topic for February. Love teaching Chinese New Year and President’s Day. The kids are alway so interested Washington and Lincoln. Dental Health is always fun for them. I love to teach contrast and compare through food-person stories! We read The Gingerbread Man, Senorita Gordita, The Matazo Ball Boy, and Stinky Cheese Man! We conclude the unit by writing our own stories! February is all about Valentines and showing others how we care! I use a snowman theme to teach ELA, math and science skills. I like to read the “Snowmen at Night” books and “The Sneezy Snowman” to name a few. February is usually when we start with measurement. I love all the fun ways to measure things around the classroom. Graphing and data! We graph everything February related; Valentine’s Day, Black History month, 100th day, Groundhog Day, weather, virtues, you name it! Dental health! My preschoolers love to practice “flossing” playdough out of mega blocks and painting with tooth brushes! I love teaching about how to be a friend as well as Groundhog Day! I love February – shortest month but the busiest – Lincoln, Washington, dental month, black history, presidents day, groundhog day, leap year – which is my favorite?? I am really excited about Chinese New Year this year! My favorite thing to teach in February is kindness which goes right along with Valentine’s Day. I also Love to incorporate a lot of writing in February! I love teaching about Grondhos day, Valentine’s Day and why we celebrate it. I also teach about dental. We are starting a big gratitude theme for our whole program, which I am very excited to talk to my preschoolers about. And also in Feburary we talk about our friends and families, how we can be kind and show love. As a Christian based preschool we use “Jesus loves the children to build on “love” associated with February. We talk about how Jesus loves all the children of the world. I love teaching about friendship. Community and community helpers. Also patience for those of us stuck inside due to the weather ???? My favorite lessons to teach in February are poetry lessons. We discuss love for others and love for self through studying couplets, lyrics, and free verse poems. Of course, they write their own too. Kindness! I tie it to Valentine’s Day! My favorite skill to work on in February is friendship and caring. Respect for All themed lessons. We are in “How to…” writing. Our first topic is “How to show love”. We discuss that showing those we love isn’t one day a year or a big gesture. It’s helping mom with the dishes without being asked. Making a small gift for no reason. Volunteering to be class shoe tie-er for a week. Holding doors. They really get into being able to say I love you without words on a daily basis. Kindness for every living thing. Doing one small act of kindness everyday. Researching the presidents and their contributions to our country. Love yourself through learning life long skills… like long division and your multiplication facts. It’s the best thing thou can give yourself, your parents, your future spouse, and future children… the ability to know how to manage numbers so you can provide and prosper your family. Love yourself through learning life long skills… like long division and your multiplication facts. It’s the best thing you can give yourself, your parents, your future spouse, and future children… the ability to know how to manage numbers so you can provide and prosper your family. I love our kindness challenge, teaching students about Chinese New Year (and trying to eat with chopsticks), and learning about the Presidents. African American History! They have been overlooked in history books for their involvement in making their mark in the world. I love Groundhog Day activities and predicting! Also Arctic animals! Fixing “broken hearts”… A.K.A we work on restoring the justice in broken friendships as well as to help others feel loved in any way possible. I love teaching our unit on penguins. With a last name like Willey (“Chilly Willey”), I’m bound to love it! Dinosaurs right after Valentine’s Day!! It is a fun, adventurous theme to help fight off the winter blues!! I teach toddlers- we keep it simple, colors red and pink, shape-heart! I love teaching about community helpers in February. 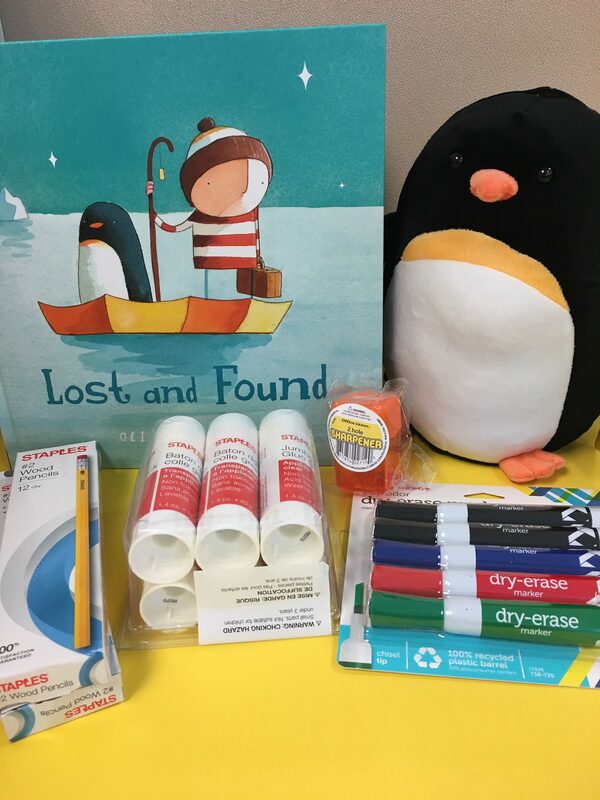 It is perfect to set up a lost office and work on writing, since it is Dental awareness in February we love to bring in a dentist and follow up with a doctor’s office and work on healthy bodies with exercise and healthy eating. Then a beauty shop or a construction site to play in. My favorite thing to teach the littles about in February is hibernation. They live to pretend being bears and other animals that hibernate. Valentine’s Day and dental health. Talking about love and showing it to others. Plus making cute love bugs! Kindness and 100th day of school! I like to teach students that we all smile the same language. My favorite theme to do during February, other than Valentine’s would be black history month..we have lots of hands on activities scheduled..
Valentine’s Math Bingo use sweetheart for the chips. Everyone is a winner because they can eat their candy when their done. Shadows (I tie it in with Groundhog’s Day)! Our 100th day of school is February 15th this year if we don’t have any more snow days. 100 is such a big number for a first grader and I try to find “100” activities to do during the day, all day. States of matter! We make snowmen and watch them melt, and we learn/read about chocolate and make it melt/freeze. Valentine’s themed projects for counting, science, art. My favorite unit is a sled dog unit. We have a sled dog race in our town in February. We learn about what it takes to be a part of a team, invite mushers in to talk, and we even have our own race. Kindness…we use our classroom Sci-Tech lab to demonstrate a simple experiment relating to Matter. We mix student safe & friendly mixes to demonstrate how kindness can overflow from a plastic bottle when everyone agrees to be kind kind to other, a classroom given. Kindness Matters! My favorite topic to teach is the Five Love Languages. My favorite theme to teach in February is Black History! The students are always so intrigued and it has led to some wonderful teaching moments about being fair, kind and considerate to others feelings! I love to teach about President’s Day in February. I like to teach about friendship! I teach Black History, the kids enjoy it. I love to teach about friendship. I reiterate my message on being kind and including all in February. I love teaching about Black History, there are so many wonderful biographies to share! Kindness and the importance of tolerance. I tie this up with a lesson on Black History in my Civics class. I have enjoyed using The Bucket List for Kids in teaching how to build others up. It’s perfect to use along with Valentine’s Day! LOVE FOR READING……I start celebrating Dr. Suess with mystery readers it’s one of the biggest hit in my class!! During February I love teaching about snow and animals of the polar regions. We love talking about dinosaurs in February ! Chinese New Year and President’s Day. And finishing up our penguin unit! So We asked all together favorite cookie and students asked all together 100 people after narrowing down to 4 cookies . We bar graphed it. We also did 100 Random Acts of Kindness and make it into a book. For the month of February, I like to concentrate on Kindness and caring for others. I also incorporate activities for the 100th day of school. I also do activities relating to Groundhog Day and shadows, as well as the Chinese New Year. I have 2 themes I like this month. Artic animals and friendship. We like to use teal ice or snow in our sensory table with animals. We make friendship bracelets. Since I teach infants my theme is building friendships. I love be able to teach my little ones new things everyday and I love when they find something new. We all love learning about Arctic animals. Chinese New Year is the main theme in Feb.
My favorite theme to teach this month is Plants and animals, because where I am, it’s that time that I can start planting fresh flowers and garden plants!!! We are also working on putting first things first! This is time for my students to start working on what they need to do to put themselves first in school and at home! Kindness is my favorite and I tie it into helping each other during play and sharing. Teaching patience and kindness to others. Dental Health and being kind to each other, not just on Valentines Day. Black History month…I teach pre K fours, and I like to read books about Jackie Robinson, Martin Luther King Jr. , play music by Jackson Five, Kool and The Gang, ect. I like to work friendship and kindness into Valentine’s. Winter!! Penguins are my favorite! Groundhogs Day!! My kids love the pop up ground hog puppets! Scientific method… getting ready for science fair. Snow & ice! We have to get creative here in Southern California but very excited to try out magnetic ice science! My class is two, so emotions and how to handle them. Iam wrapping up our State Awards books and get to do a project with the kids. They make posters to summarize the books. “Some bunny love you”. Homemade cards are the best gifts to give and creates a sense of a special accomplishments. Kindness ❤️ and test prep! Friendship. They are getting lots of writing practice and scissor skills making valentines for their friends. Lol, those question marks were a heart on my phone! Main idea and details. We use Super Bowl stories, groundhog stories, Valentine’s Day stories, and it would be great to add penguins! My favorite theme in February is Black History month! I love teaching about Presidents Day and tying in patriotic activities. I enjoy teaching stories about heroes of Black History and especially about the Underground Railroad. The theme I like to teach is about the Presidents. I tie in money and Patriotic Symbols, too! I teach about our amazing bodies, how we have 5 senses that we can use to figure out clues, and we have fun coming up with activities to practice using them. Definitely black history month and kindness. Kindness and friendship are my favorite things to teach in February. Black History and Great Presidents! Tooth fairy and counting. I have a bunch of old pencil tooth toppers we use to practice counting. I have GREAT tooth fairy books! It’s hard to pick ones to read! I read the kids stories and we kid write about the tooth fairy. We also make a tooth fairy to put with our writing. So much fun! Friendship or about President’s day or what is the President’s job. Mardi Gras theme is what we love to use for February.